Definition at line 503 of file TypeRecord.h. Definition at line 505 of file TypeRecord.h. Definition at line 506 of file TypeRecord.h. Definition at line 512 of file TypeRecord.h. 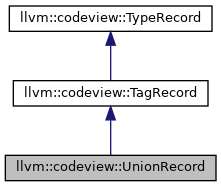 Definition at line 518 of file TypeRecord.h. Definition at line 520 of file TypeRecord.h.